This article is from 2010. Michael West’s new work has already garnered a clutch of accolades in the company’s native Dublin, and richly deserved they are too. 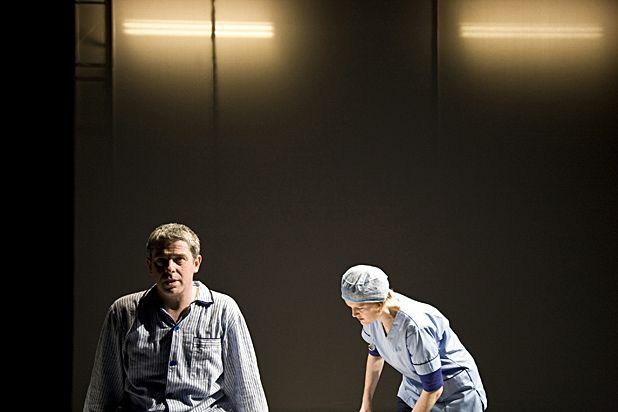 This is a piece of startlingly brilliant theatre; the powerful and enthralling tale of ‘a perfectly normal life’ told in retrospective and disordered scenes in the aftermath of a severe stroke. Onstage action is intercut with film to incrementally relate the compassionate story of a good man’s uncomplaining maltreatment at the hands of his faithless wife, savage uncle and thoroughly unpleasant cousin Dennis (a stand-out performance from Damian Kearney). The polished and tight-knit interactions of the ensemble cast are combined with performances of absolute integrity and credibility, interweaving brutally honest insights into middle-aged disappointment and despair with moments of borderline slapstick (including some very fetching human sound effects.) The piece never descends into tedium or cliché and the climax leaves the audience riveted. And you’ll never hear the word ‘apple’ the same way again. Traverse Theatre, 228 1404, until 29 Aug, £17—£19 (£12—£13). Three gins, mixers, a magazine and free delivery - now £16 off.